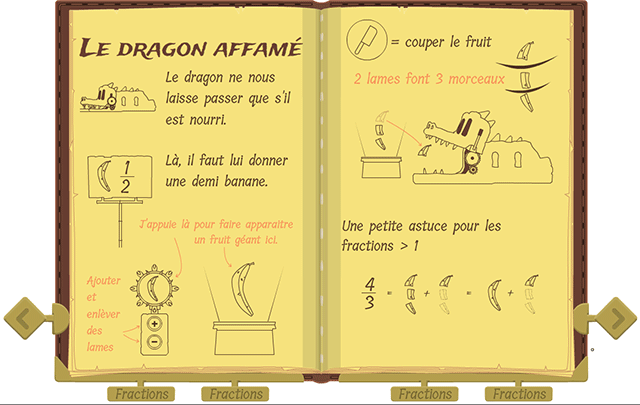 Math Mathews Fractions is an adventure video game to understand and practice fractions… Yes, this is an ambitious project! The game takes place in the Math Mathews universe we have created 4 years ago, such as two other games and a cartoon series (to be available soon!). In this new game, you play as Captain Mathews. Action, adventure, exploration and fights are common for a pirate game, but the player will also face riddles and mysteries! 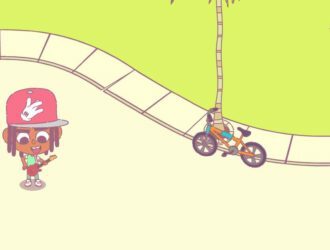 We have obviously tried to create a fun game, but the educational dimension has led the whole production from the start. We began our collaboration with Marie-Line Gardes, senior lecturer science of education in mathematics in the Institut of Cognitive Science (Lyon) and Université Lyon 1. Then we had to imagine a lot of game situations, based on obstacles and riddles which would be on Mathews’ path. One challenge was that the digital activity in the game had to present a benefit compared to the original activity on paper. For example, kids often work in the classroom with strips of paper, compared to a unity called “u”. The strip of paper is perfect for the kid to touch, fold and understand various notions, such as “half”, “quarter”, etc. But there was no point to include this activity in the video game : folding a strip of paper in the real world helps understanding, but putting this gesture on a mobile phone did not make any sense for us. In the end, we created 12 different modules, which means a great number of learning and game situations. 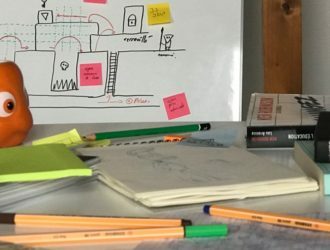 After working back and forth with Marie-Line to polish our game design, we created all the levels by allocating the learning modules and arranging the difficulty progression. The game includes 12 levels and the difficulty is gradual. Learning modules can be set up: it enables us to propose a very easy module during the first level of the game, and a more complex one during level 8 (e.g. with add up of two fractions). Further more, data are randomly generated, so there is no point in asking your friends for answers, you have to think! So we have created different setups for each module to be used, so it’s easier to use in the level design. And here comes our spreadsheet! 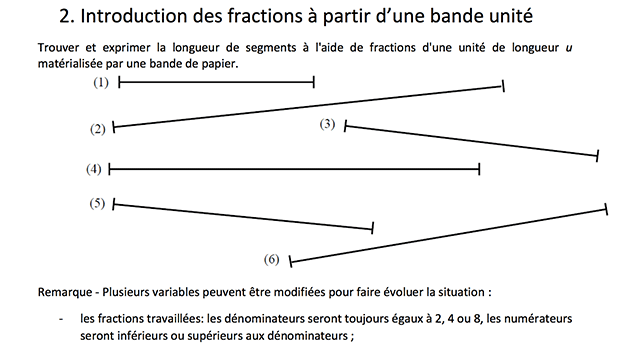 For exemple here, the trapped passage, we can choose the number of traps (=number of fractions to be found), possible denominators and type of display (fraction, corresponding fraction, whole number + fraction). Considering these parameters, we have created 5 difficulty setups that can be used through the 12 levels of the game. The green column shows how many times the set up is in each level. We can see the trapped passage can be found 12 times in the whole game. All the learning modules can be found 132 times, meaning kids have many occasions to practice fractions! Once all the modules and setups are done, they were allocated in all the levels. This work and all the process to choose where to put obstacles, how to sharpen the game experience… are done simultaneously. This is level design. Quite a job! First we worked with a graphic design software(Adobe Animate) to have a global view of all our levels in blockout. We can see how the level looks, where the modules, the combats, and cutscenes are. We can put all the necessary data regarding module use and setups in a spreadsheet, then use it to know how many times each module is used (remember the green column?). There are many theoretical reference models to measure skills acquired by a learner. We have chosen a simple model for Math Mathews Fractions. First, we labeled all the activities according to math skills mentioned in the curriculum, and we matched one or several learning modules to one or several math skills. 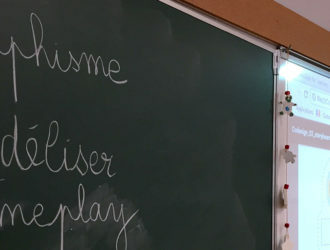 Each time a player completes an activity (a module), the corresponding skills are given points. When a skill gets enough points, the corresponding throphy is won. The player gets a notification while playing, and can find all the details in a dedicated menu. Trophies offer the player a real feedback on the learning progression regarding fractions. So you can really learn fractions with this game? With Math Mathews Fractions, we want to offer a game environment gathering all the skills to learn and practice fractions. We offer many feedbacks to the players, especially feedbacks regarding their mistakes, for them to try to find the right answers by themselves. 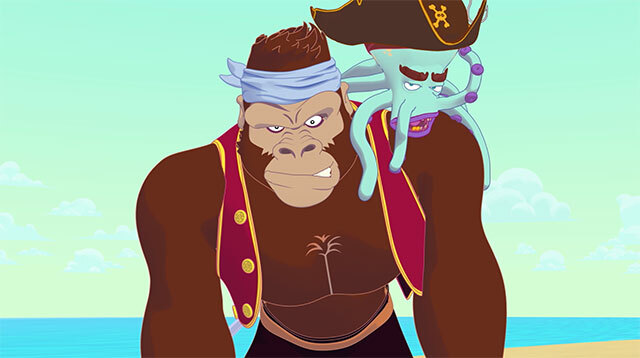 A pirate’s diary was also created : all the theoretical knowledge (written by the legendary pirate Adam Morgan – another pirate in Mathew’s universe) regarding fractions are available to solve all the game situations. But we do not pretend that kids will learn, practice and master fractions only by playing Math Mathews Fractions by themselves! Math Mathews Fractions was imagined as a tool to work and learn fractions, together with a traditional teaching in the classroom or at home. 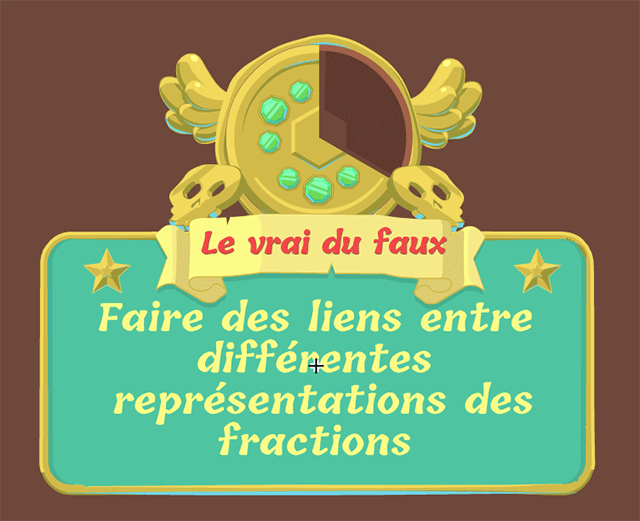 Math Mathews Fractions is (we hope) a perfect game to have a good overview of fractions, go deeper in the understanding of this notion and, for the teacher, see where kids can have some difficulties. 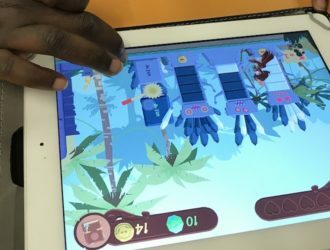 With our partners at Institute of Cognitive Science, we will organize tests on a kids group to measure if our game really helps kids to understand and practice fractions. Math Mathews Fractions will be available in autumn 2017. Ptots are waiting for you! 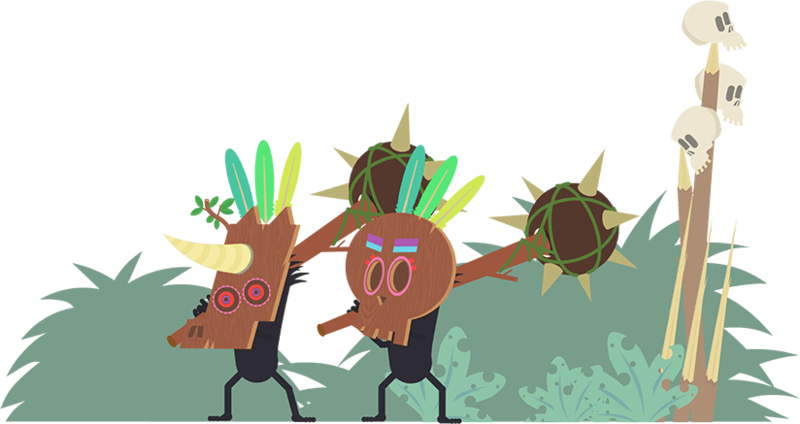 Eiwee is an educational music game we have been working on for some time, and it's time to reveal what this is about!